Earn up to 47,992 reward points. With oversized nickel-silver key touches for an effortless feel and a warm, fat sound. 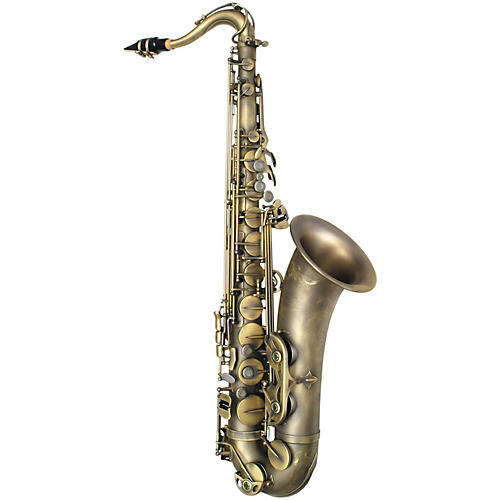 The PMXT-66RX Influence Tenor Saxophone is a professional class instrument that is fitted with oversized nickel-silver key touches to achieve an effortless feel and to further facilitate natural vibration throughout the horn, bringing you even more in touch with your sound. Other features include a Super VI style neck, hand engraved bell and bow, and a vintage dark lacquer finish. P. Mauriat's unique rolling process uses the saxophone's existing material; unlike rolled tone holes of the past, there is no soldering here, the tone holes are drawn from the body and then rolled over allowing superior resonance throughout the entire saxophone and increased response in all ranges. An enlarged bell compliments the already warm, fat sound. 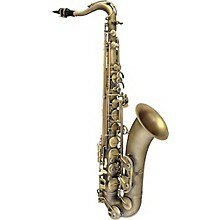 P. Mauriat is an industry leader in modern vintage saxophones and trumpets. Each horn is hand crafted from start to finish out of the very finest materials. From fresh ideas in metal combinations, to cutting edge neck designs and trend setting finishes, P. Mauriat continually works to solidify their reputation for creating horns that offer the sound, response, ergonomics and intonation that will impress even the most demanding players.